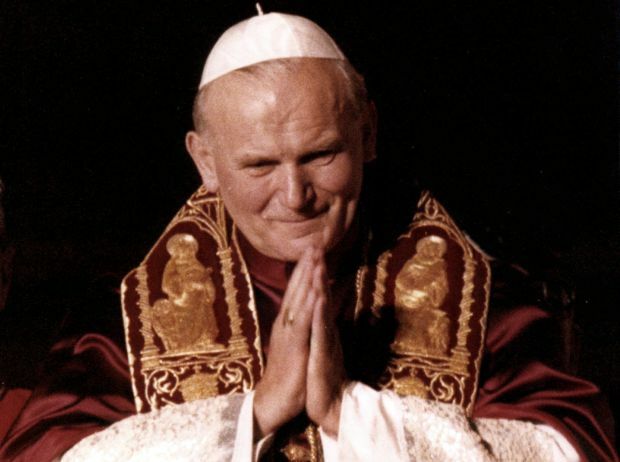 WARSAW, Poland (CNS) — The former personal secretary of Blessed Pope John Paul II has approved the publication of the late pontiff’s private notebooks, despite a request in his will that they should be burned. “In writing his will, the Holy Father knew he was entrusting these notebooks to someone who would treat them responsibly,” said Cardinal Stanislaw Dziwisz of Krakow, who not only served as the pope’s personal secretary throughout his almost 27-year pontificate, but was his secretary in Krakow, had been a student of then-Father Karol Wojtyla in the seminary and was ordained to the priesthood by him in 1963. “I had no doubt these were such important items, testifying to the spirituality of a great pope, that it would be a crime to destroy them,” Cardinal Dziwisz told a Jan. 22 news conference in the southern Polish city to announce the release of the notebooks by the local Znak publishing house. “In European culture, a final will is always binding, as long as its realization isn’t against the law and morality — this is required not just by legal statutes and good manners, but also by respect for the dead,” the priest told Poland’s TVN television. “This public act of disobedience is a form of anti-witness and can’t be justified by any explanation that it’s for the good of the church. Does a clergyman serving as a secretary know better than St. Peter’s successor?” he asked. It added that the 640-page book, “I Am Very Much in God’s Hands,” would reveal Blessed John Paul’s “care for his dearest friends and collaborators, and the church entrusted to him,” and allow readers to “know Karol Wojtyla’s weaknesses,” and “accompany the pope at moments of his greatest closeness to God.” The former pope will be canonized April 27 at the Vatican. Znak’s director, Henryk Wozniakowski, described the notebooks as “a publisher’s dream,” adding that Znak was ready to collaborate with “all the biggest world publishing houses” on foreign-language editions. “The pope left a great deal behind him, illuminating his views and beliefs in every area, and these notebooks merely confirm what we already know,” the commentator, Malgorzata Glabisz-Pniewska, told Catholic News Service Jan. 27. “Having given so much of himself to the world, John Paul II had a right to keep something private. He taught us the good of the individual, however interesting to others, must always take priority over the good of society,” she said. Speaking at the January news conference, Cardinal Dziwisz said he would use his share of profits from the book to complete a 13,000 square-foot complex being built at a cost of $ 40 million in memory of Blessed John Paul in Krakow. The complex will include a basilica housing blood and other relics from the pope.